A quick and easy solution for your next outdoor party. Versatile enough to be used everyday and durable enough for use by the pool. The perfect unbreakable serving bowl set for any occasion. These bowls are perfect for serving everyday salad, popcorn and chips. A step up from disposable dinnerware, they are also great for the patio or picnic. Set of 6 in 3 assorted colors. 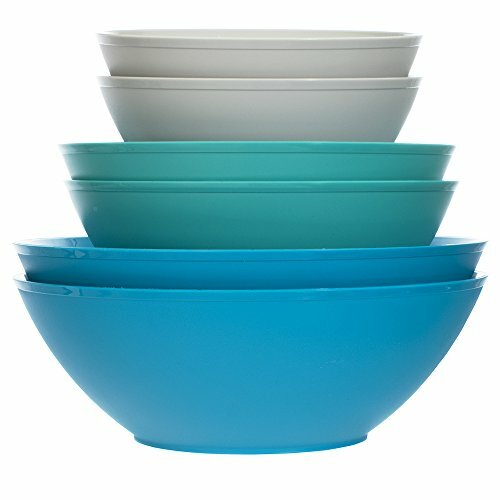 These bowls are BPA-free, and made in USA by US Acrylic - a leading manufacturer of the finest quality products since 1978. If you have any questions about this product by US Acrylic, contact us by completing and submitting the form below. If you are looking for a specif part number, please include it with your message.